At HealthFare, we are always brainstorming and trying to come up with new ways to improve our menu and the health of our customers. We already serve a variety of delicious and nutritious smoothies, but felt that something was missing…. We are pleased to introduce you to our new fresh pressed juices! We have created 3 amazing flavours that are all packed full of vitamins, minerals, and antioxidants. These simple juices have so many amazing health benefits in one little cup. Purple Roots contains beets, apple, carrot, ginger, and oranges. This vibrant combination is not only delicious, but contains loads of vitamin C, vitamin A, folate, magnesium, potassium, manganese, and iron! 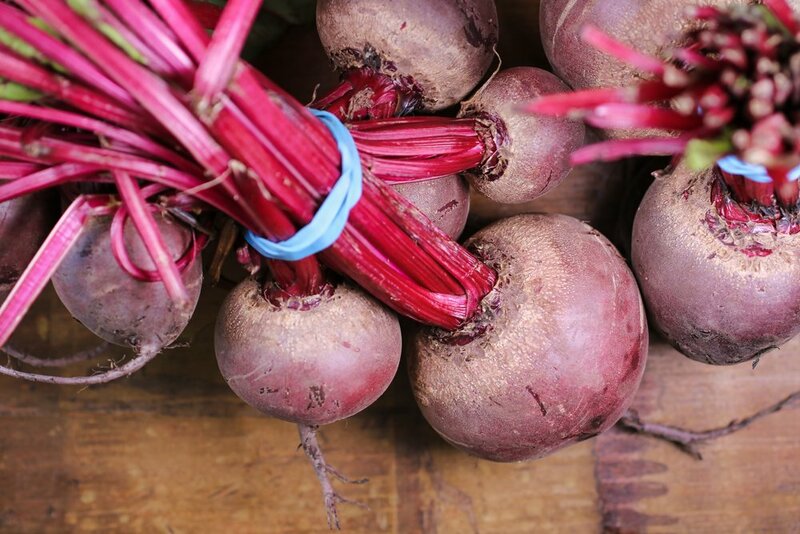 Beets contain nitrates that have been shown to lower blood pressure, enhance athletic performance, act as an anti-inflammatory, and improve mental and cognitive function. Beets boast an impressive nutritional profile. They are low in calories, yet high in valuable vitamins and minerals. In a 100 gram serving of beetroot, there are 44 calories, 2 grams of fiber, 1.7 grams of protein, 20% recommended daily intake of folate, 16% recommended daily intake of Manganese, and much more. - Studies have shown that beets can significantly lower diastolic blood pressure by up to 4-10 mmHg over a period of only a few hours. These blood pressure-lowering effects are due to the high concentration of nitrates in beets. In your body, dietary nitrates are converted into nitric oxide, a molecule that dilates blood vessels, causing blood pressure to drop. The dilation of blood vessels also increases blood flow to the brain. A reduction in blood flow and oxygen supply to the brain has been noted as one of the major causes of cognitive decline with age and dementia. - Several other studies have shown that dietary nitrates may enhance athletic performance. Nitrates appear to effect physical performance by improving the efficiency of mitochondria, which are responsible for producing energy in your cells. Blood nitrate levels peak within 2–3 hours. Therefore, to maximize their potential, it's best to consume beets 2–3 hours before training or competing. Green Zinger contains cucumber, kale, pineapple, parsley, and lemon. This tropical tasting mix makes the perfect green juice! Although often overlooked, parsley is a key ingredient in this recipe. Parsley is a nutritional powerhouse with vitamins A, B, C, and K, and the minerals Zinc and Potassium. 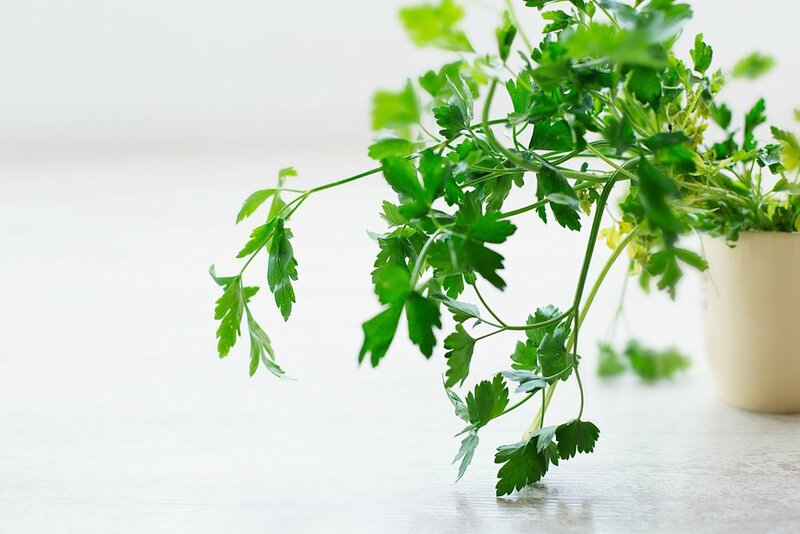 Parsley aids in balancing blood sugar levels, improving immune function, reduce pain and swelling due to an oil called Eugenio that has been shown to have strong anti-inflammatory properties, and is a natural diuretic which can help reduce water retention and bloating. Orange Refresher contains carrot, apple, ginger, and apple cider vinegar. This invigorating mix is packed full of vitamin A and C, and is the perfect option to help prevent or fight off those nasty cold and flu symptoms. Apple Cider Vinegar is made by fermenting the sugar from apples. This turns them into acetic acid, which is the active ingredient in vinegar. Apple Cider Vineger has many impressive health benefits such as lowering blood sugar levels, lowering chlosterol, and improving cardiovascular health. Our fresh pressed juices make the perfect snack on the go, or addition to one of our sandwhiches or rice bowls. For only $8 plus tax, you can easily drink up over 80% of your recommended daily value of several vitamins and minerals. Pop into our Kamloops locations inside the Tournament Capital Centre to try one for yourself!